When you think of big data analytics, do you think, “big money?” If so, you’re not alone. 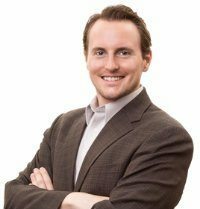 It’s expensive to set up big data analytics solutions, especially in the oilfield. In earlier posts, we’ve described the challenges and problems oil and gas operators have to face and the big data solutions many use to overcome operations obstacles. This time, we focus on the capabilities and benefits that operators achieve when they use big data analytics solutions. More efficient management of complex, mature operations. As oil and gas fields mature, production becomes more complex. Increasing volume and complexity in hostile, remote locations require reliable remote and automated operations and logistics optimized for efficiency. Mature assets with declining production need very efficient maintenance schedules to keep production profitable. Need for more accurate resource decision making. In newer fields, BDA enables industry decision-makers to better predict where to drill and fracture and how to minimize adverse environmental outcomes. Complex shale gas operations. What distinguishes shale is its unique combination of younger fields, the diversity and scale of data associated with its operations and the variety of production environments in which operations occur. Big data analytics is well suited to this complex operations profile. If you’re thinking, “That’s value in the abstract. Where are additional revenue and profits going to come from,” we hear you. The answer might surprise you. Big data applications change the focus from reaction and response to anticipation and prevention. By incorporating big data technologies in their operating and business systems, oil and gas companies can use information to anticipate problems, reduce costs, and coordinate resources. So even small improvements in production efficiency will have meaningful financial impact. But what types of operational improvements lead to positive effects at the top and bottom lines? More revenue. By ensuring that equipment works properly and spends as little time as possible offline, operators maximize uptime and total production. Lower operations costs. By fitting machinery with sensors that collect performance data and comparing it with stored data, operators reduce maintenance costs. A variation on this theme is finding equipment failure before it happens. Industry-leading operators are also using analytical models to predict failures of critical equipment components. The next level of sophistication in this approach includes connecting and monitoring all parts of the production process. Faster time to market. Companies that extract petroleum most quickly have the competitive advantage. Compared to the 180-day lag time of traditional drilling equipment, the fracking process can take only 30 to 60 days before oil producers start measurable production. Less risk of environmental damage. Predictive analytics is by now a standard data analysis tool. Operators can put it to work searching stored data for field and equipment conditions, response and outcome information. With it, decision makers can identify and respond to high-risk operations and events before trouble occurs. Big data analytics in the oilfield can contribute real value in the form of higher revenue and profits, faster time to extraction and lower environmental risks. But value occurs only when big data management methods enable people to predict events and improve production processes. 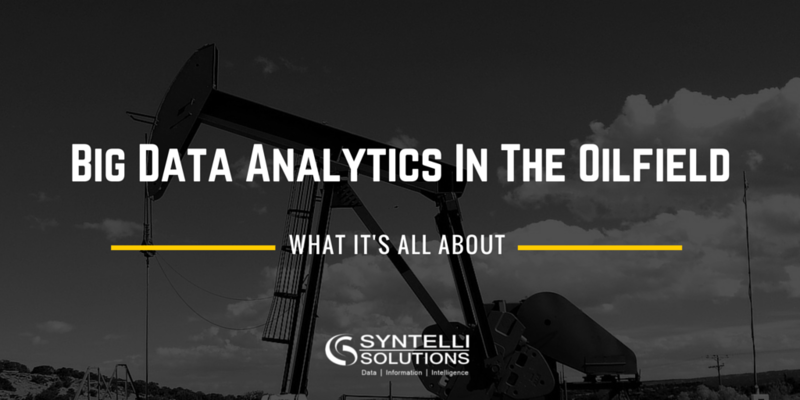 Syntelli data scientists have extensive experience in providing big data solutions to oil and gas companies. Contact us today or request a demo of Syntelli Services to see how we can help your organization!